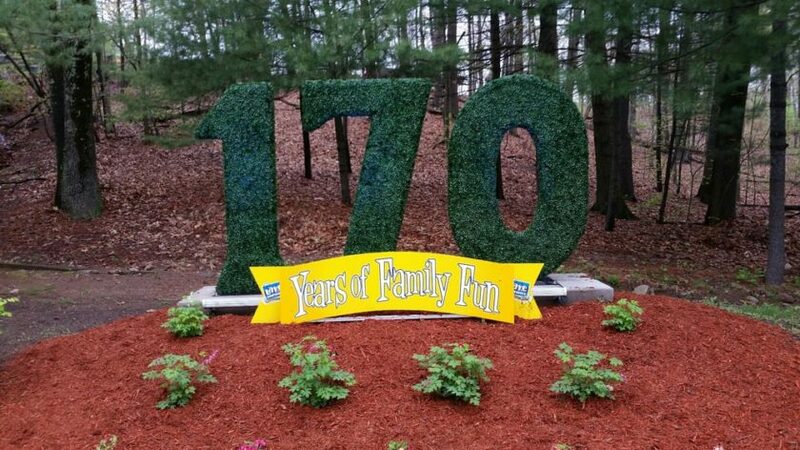 Artificial Plants Unlimited is a premium provider of custom topiary shapes made to order for businesses, theme parks, commercial spaces, shopping centers, universities, retail stores, and many more applications. 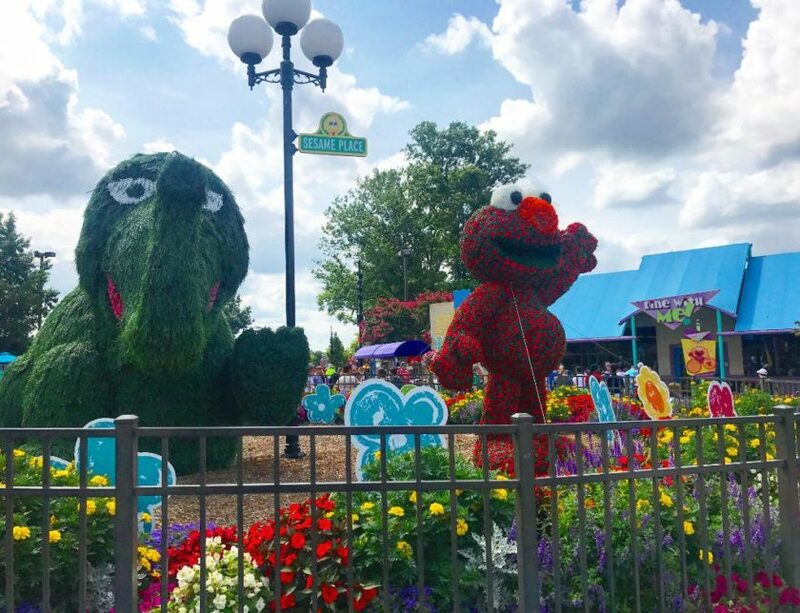 If you are considering creating a branded or logo-based topiary for your business, we have answered a few of the most common questions we receive about custom topiaries. Don’t see your question below? Not to worry—call us at 1-888-320-0626 and we will help you achieve your topiary vision. Why Use a Topiary to Advertise My Brand? What Types of Topiary Designs Can I Have Made? As mentioned, we can make pretty much anything you can dream up—just provide us the artwork and watch your topiary take shape! 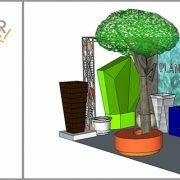 We can also work with you on creating original designs based on your logo, brand name, trademark or other brand-centric design, or by re-creating a topiary design that you see on our website. Like our name, the possibilities are truly unlimited! How are Faux Topiaries Better Than the Real Thing? How will you love your new faux topiary? Let us count the ways…. These natural-looking hedge shapes require zero maintenance: meaning no watering, no fertilizing, and NO TRIMMING (something you have to do constantly for real topiaries in order to maintain their shape). And let’s not forget that real topiaries fade, wither, turn brown in patches or completely, and sometimes die. Your faux topiary will stay going strong, keeping its verdant green color and sturdy construction in both indoor and outdoor (even full sun!) applications. What Foliage Options are Available to Make My Topiary? Although our topiaries are often made using faux boxwood, we have a range of both green and floral foliage options at our disposal to make your brand new branded topiary. This includes (but isn’t limited to) flowers, ivy, moss, wild grasses, and succulents. For a clean-looking, distinct topiary shape, we suggest using boxwood and ivy. Wild grasses and other free-flowing foliage can be used when a topiary doesn’t need as distinct a shape. Will My Topiary Fade Outside in the Sun? 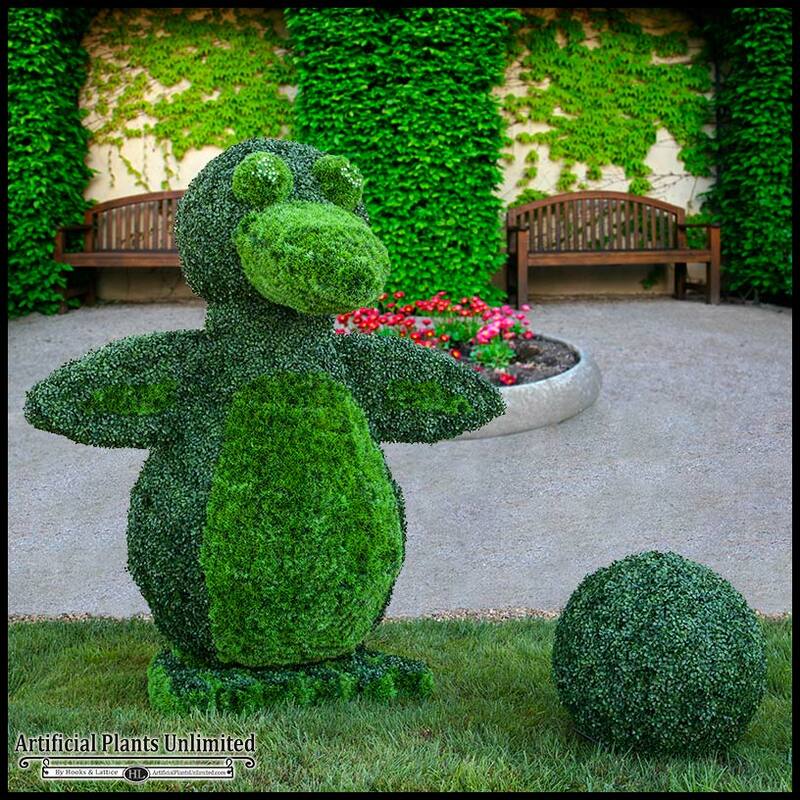 Our outdoor-rated topiaries are made with built-in UV protection, which is impregnated into each plant and leaf. This is in stark contrast to our competitors’ products, which use spray-on products that don’t penetrate and fully protect their foliage. It is this significant difference that makes our custom topiaries fade-resistant, even after years of full-sun conditions. 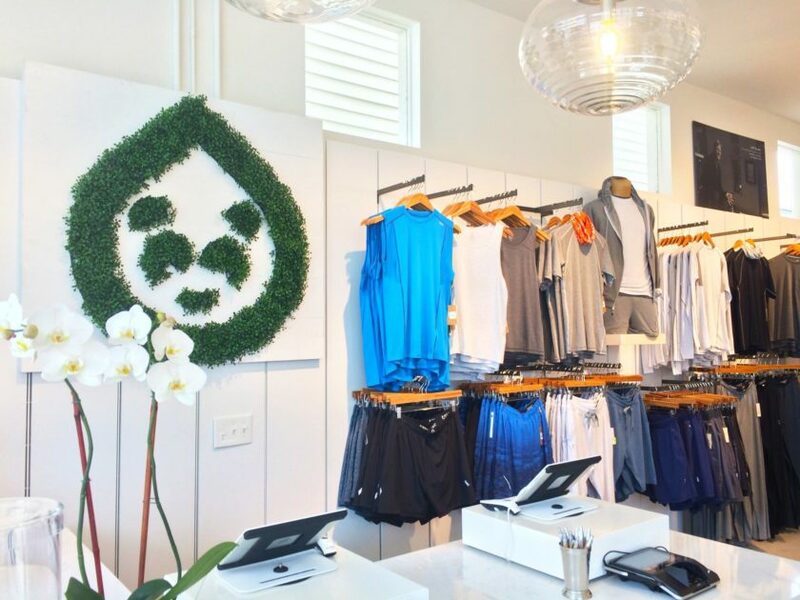 Where Could I Use a Branded Topiary? The question is really where can’t you use them? 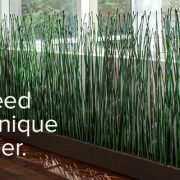 Put them indoors or outdoors, and use them for theme parks, restaurants, shopping centers, hotel entryways, office lobbies, art galleries, universities, weddings, trade shows, retail displays, etc. Use them as temporary or permanent fixtures for your space. 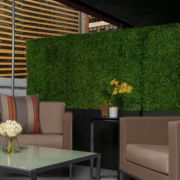 We even have fire-retardant foliage options to meet building code requirements. 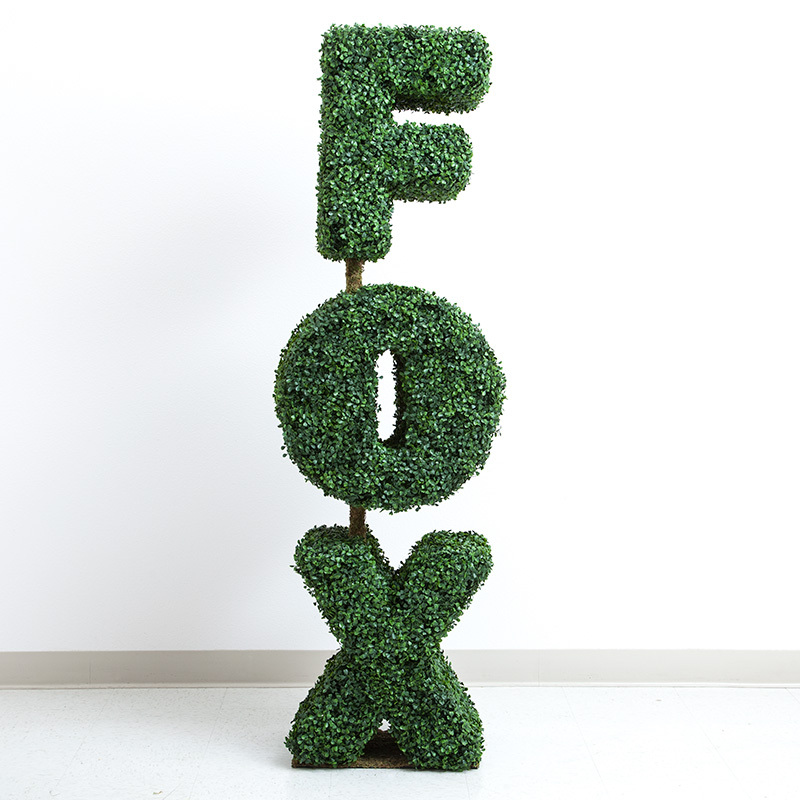 No matter where they are placed, your branded topiary will attract instant attention. 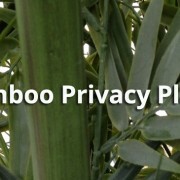 What is the Custom Topiary Ordering Process Like? The custom topiary ordering process is simple: give us a call to discuss what you need and we’ll go from there! 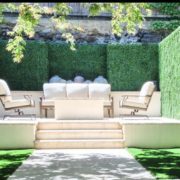 Even if you have only a rough idea of the topiary you want, our experts can help you to flesh out your design before making it with detailed care. 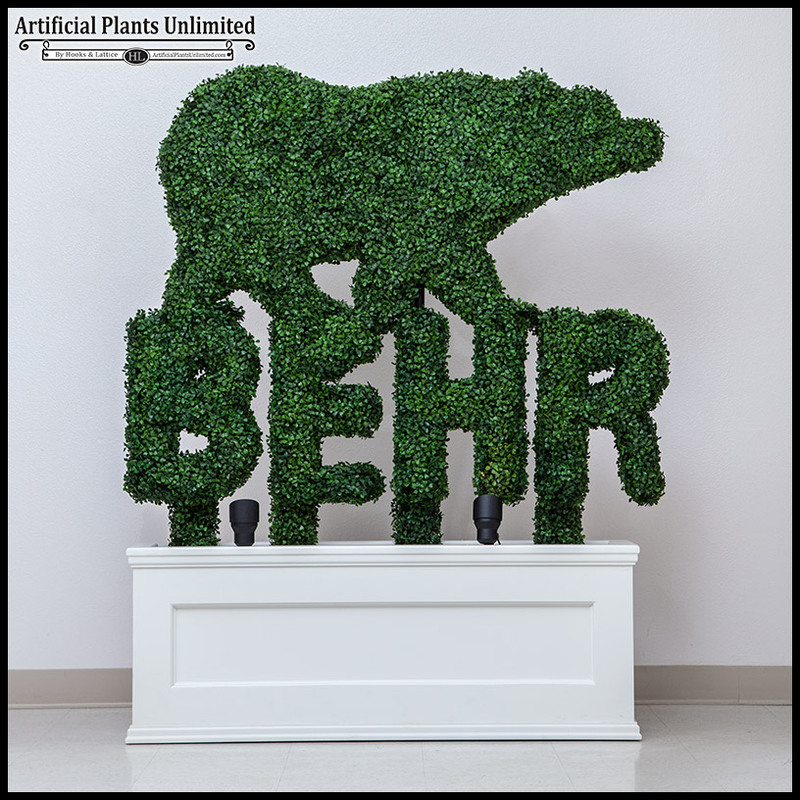 To get a better glimpse into what to expect when ordering your custom topiary, check out this mock order. How Do I Start My Custom Topiary Order? 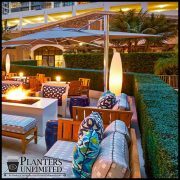 Start by giving us a call at 1–888-320-0626 to discuss your project, have any additional questions answered, and get help (if needed) finalizing your design before it comes to lifelike, leafy life! We can’t wait to get you started!